A study carried out by Utrecht University (Hartog et al., 2010) showed that using a bike instead of a car for short journeys is 9 times more beneficial in terms of life expectancy than the years of life lost due to road accidents and increased exposure to air pollution. The World Health Organization recommends 30 minutes of exercise per day. Cycling diminishes the risks of cancer, diabetes and cardiovascular diseases. The average speed of a car in town is between 12 km/h and 21 km/h during rush hour. A cyclist travels at about 15 km/h. 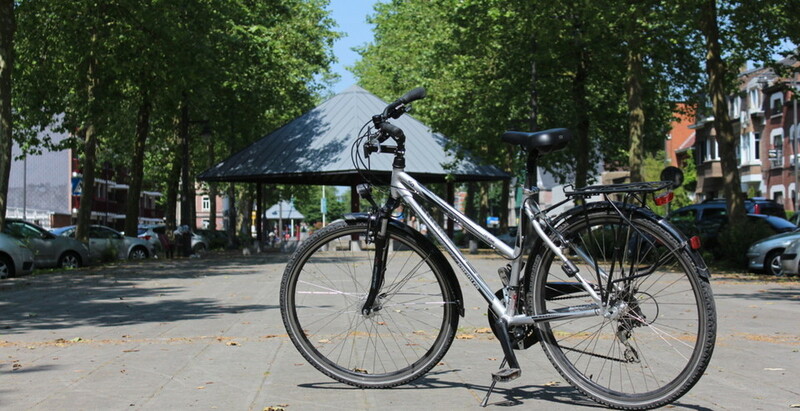 For journeys of less than 5 km in urban areas, the bike is the quickest form of transport. One rarely experiences parking problems. The cyclist always knows how long a given route will take, whatever the traffic conditions. "The more cycling is prevalent in an area, the lower the risk per kilometre traveled by bicycle." (Institut Belge pour la Sécurité Routière, IBSR) This principle is called ‘safety by numbers’. In absolute terms the number of accidents has increased but, proportionally, the rise in the number of cyclists is a lot greater. Therefore, we can conclude that the risk of a cyclist having an accident is falling. Brussels is not entirely a cycling city yet, but we must become one… Soon we will come to the tipping point where we can take advantage of the strength of “safety by numbers”. The Belgian Institute for Road Safety (IBSR) also states that 87% of cyclists admitted to hospital following an accident were injured in accidents that only involve one cyclist (the one who got injured). These types of accidents are generally easily avoided. Some rules of thumb and suitable equipment will take you a long way. When you get on a bike that is suitably equipped and know how to safely weave through traffic, you get around quickly, healthily and safely. You don't have to bother about rush or bus hours, and contribute to more livable cities. Did this page contain the info you were looking for? Are you a newsletter fan? Through developing personalised solutions that facilitate and encourage people to transition to cycling, the non-profit organisation Pro Velo contributes to a higher quality of life.